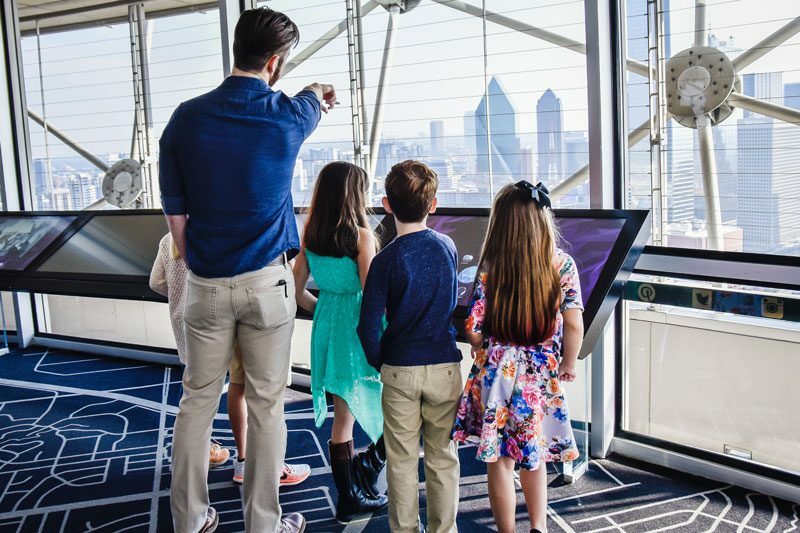 Reunion Tower offers discounted rates to school groups of all ages who are looking to experience breathtaking 360-degree panoramic views from 470 feet in the air on the GeO-Deck. The GeO-Deck has interactive touch screens that allow students to uncover historic landmarks and museums, an educational video about JFK, and much more with just one swipe. Teachers are able to request themed lesson plan ideas for subjects ranging from art to math. Schools can also enjoy a casual lunch under a digital canopy that displays sky imagery and a rotating floor at the Cloud Nine Cafe, one level above the GeO-Deck. To book your visit, please call 214-712-7051 or email [email protected] for more information.